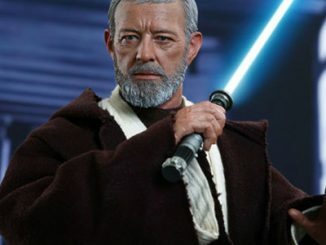 A long time ago, in a galaxy far, far away, before a guy could have the awesome title of Jedi Knight, he had to endure the less awesome title of Padawan, and the Padawan Obi-Wan Kenobi Figure captures one of the most well-known Star Wars characters during his time of being a young wet-behind-the-ears trainee. 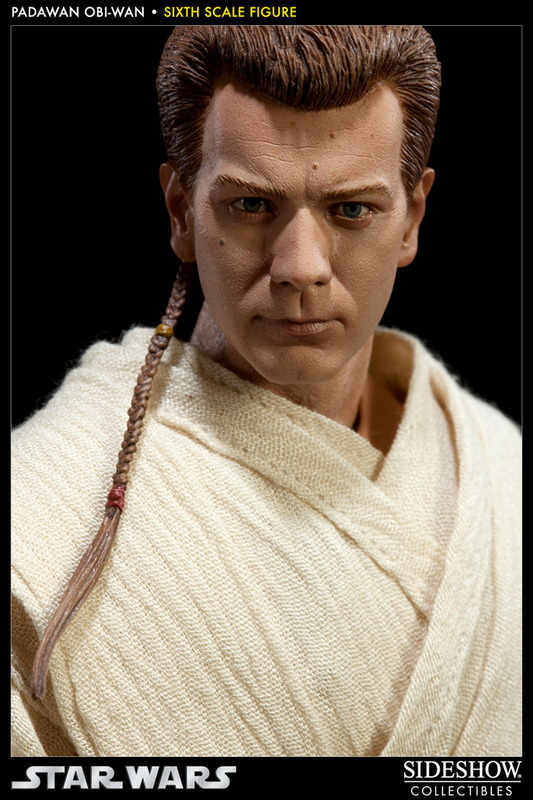 Personally, I’d prefer a title like Jedi-in-training or just about anything else that was more noble-sounding. 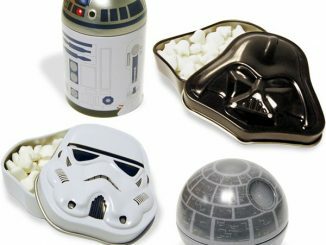 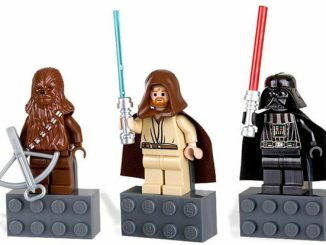 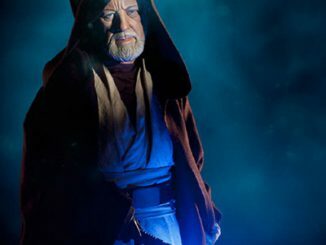 Who dreamed up the word ‘Padawan,’ anyway? 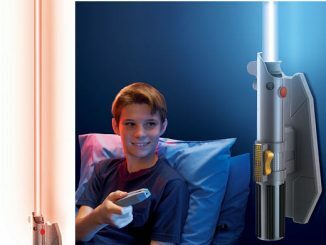 Maybe the Jedi saw it as character-building. 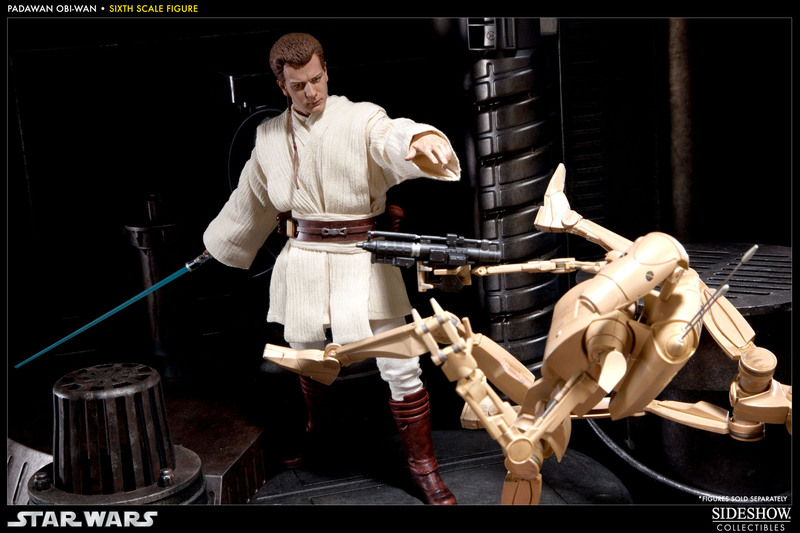 Like, if you can handle a lame title like that, then you can handle anything. 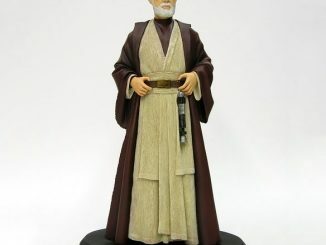 While the Ben Kenobi Mythos Polystone Statue shows an older, wiser Kenobi that’s way too familiar with the feel of defeat, this fully articulated figure shows us a Kenobi that still believes the Jedi will always win; before he met a certain brat on Tatooine named Anakin. 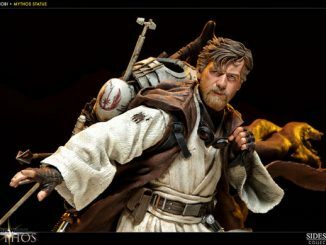 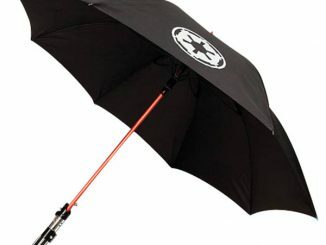 The hand-painted figure includes a lightsaber hilt, a lightsaber with the blade ignited (aided by the included battery), three sets of hands, and two pairs of boots (Standard and Action). 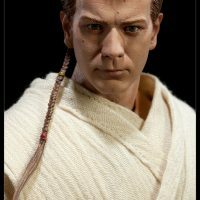 The detailed costume includes shirt, tunic, pants, outer robes, and a belt with pouches, capsules, and a lightsaber clip. 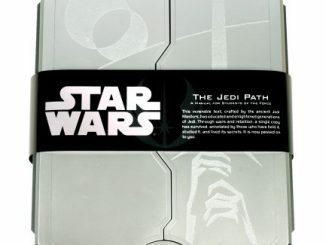 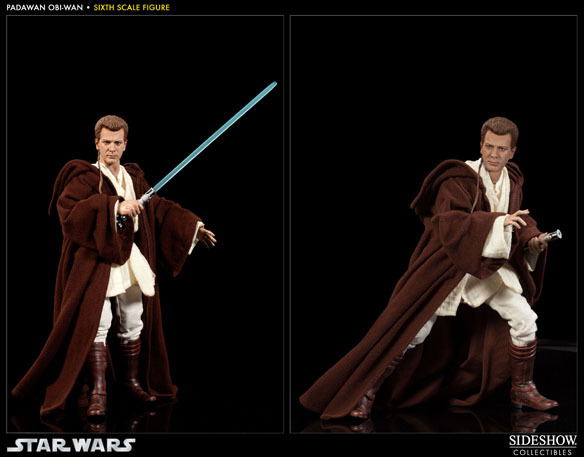 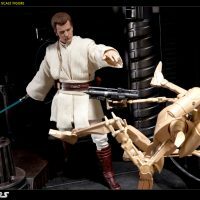 The Sideshow Exclusive version of the Padawan Obi-Wan Sixth Scale Figure includes a unique feature available nowhere else: an additional ‘Lightsaber Duel’ portrait for alternate display. 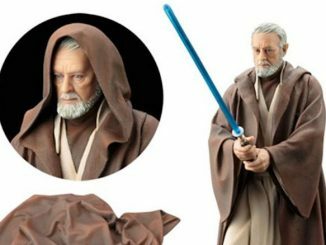 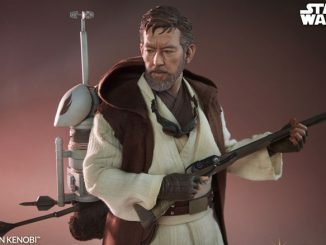 You can add the Padawan Obi-Wan Kenobi Figure to your Star Wars collection by pre-ordering it for $149.99 (or for as little as $50.00/mo) at Sideshow Collectibles.